“His direction surprised me and I’m very happy with it,” says Sakamoto. Ryuichi Sakamoto's "Zure," off his incredible Async album from earlier this year, is a portrait of patience — a slow breath in and out, toward a certain, silent future. Today, as part of the Aysnc Remodels compilation due January 2018, ardent experimentalist Yves Tumor is sharing a rework of "Zure" that he's calling his "Obsession Edit." The opening 40 seconds maintain Sakamoto's sense of withheld emotion, but then things subtly shift gear. Leisurely drums kick in halfway through, and, barely audible in the background, the whisper of a woman: "You're so much stronger than you think you are right now." It's the slowest of slow jams, a moment in which to meditate on the living rather than the afterlife. 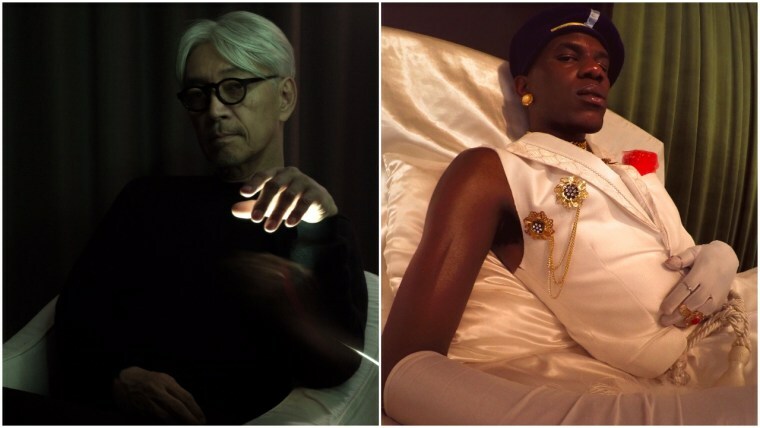 Yves Tumor added: "I would much rather the piece of music spoke for it self, but I will mention it was truly a life-fulfilling honor to work on, or in a way with, Ryuichi on this project." Read an interview with Ryuichi Sakamoto about Async.